One side effect of announcing the new Core 2 Duo iMacs and faster Mac minis last week is that it effectively removes them from contention for debut at Apple's media event tomorrow. iPod nano 6 & 8GB. This seems like a no brainer to me, the original 2 and 4GB nanos were announced almost a year ago to the day (07 Sept 05) and they're due for an upgrade in capacity. The biggest question is the case. After the cracking and scratching fiasco that plagued the original nano launch, expect Apple to return to their iPod mini roots, with a scratch-proof brushed or anodized aluminum case in colors. iPod 6th Generation. 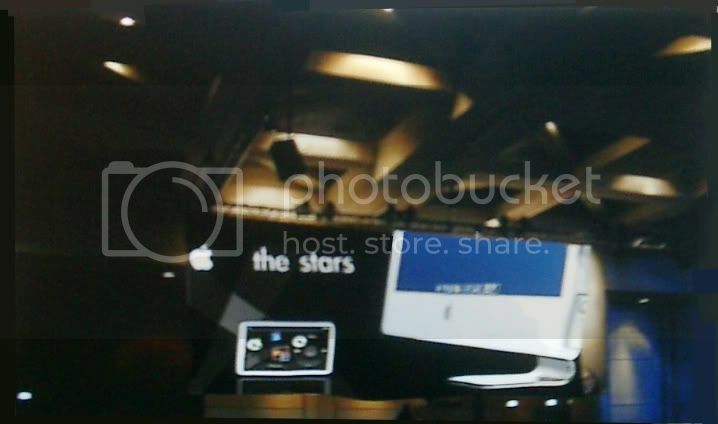 The iPod 6g will play movies downloaded from the new iMovie Store on a 16:9 wide-screen display. Although having Front Row on a landscape iPod is a great idea, I'd settle for just a mini version of iTunes running on the iPod with a way to enter and edit meta data. - OLED display. Although Organic Light-Emitting Diode displays cost more they don't require backlighting, which will extend the iPod's battery life. - Touch screen. The iPod is in desperate need of a way to enter data into it. Everything from ID3 tags, to photo captions, to entering contacts and events requires a method of data entry. The new iPod should have a pressure-sensitive display with a virtual keyboard that can be operated either via stylus, hovering or by scrolling the click wheel. - Wireless. Apple has already ventured into wireless iPods with the Nike+ running shoe transceiver, so Bluetooth or WiFi isn't far off. There's no real interface to use an iPod as a proper Web browser, but it would be great for movie and music streaming and for syncing with your Mac. Just don't try to sell me on Bluetooth headphones. The deal breaker on wireless iPods is the penalty in battery life. iMovie Video Store. Apple will try to extend on its market leadership in music to movies by offering downloadable movies for US$10-15 that play on the iPod and on any Macintosh. Deals with all the major studios will be announced and a healthy amount of Disney titles will be available at introduction. The other studios will gradually roll out more titles in coming months. Airport Express Video. Think of it as Airport Express (APX) with an HDMI port on it. Just like AirTunes allows you to stream iTunes to any speakers in your house the APXV will allow you to stream video from your Mac to any television in your house. Short-range wireless HDMI transmitters using ultra-wide bandwidth (UWB) signals are coming in November, so this is very feasible. My favorite name: AirShow. HDMI was chosen because it supports HDCP encryption. This was a concession to the Hollywood movie studios to get them to license the content and to the MPAA. The Airport Express Video will be the first device to allow the output of digital video. MacBook and MacBook Pro. the Intel Core 2 Duo (Merom) chips were released in August and several PC notebooks are already offering Core 2 Duo notebooks. This means that Apple's notebooks are overdue for the new chip. While it could happen tomorrow, the theme of the event doesn't lend itself to notebooks. iPhone - Analysts like American Technology Research's Albert Lin and Shaw Wu say the iPhone is a sure thing, but I think that iPhone is still on the back burner. I'd love to see a tablet Mac, but I'm not sure if anyone else would actually buy one, so chances are pretty slim. What would you like to see Apple announce tomorrow?